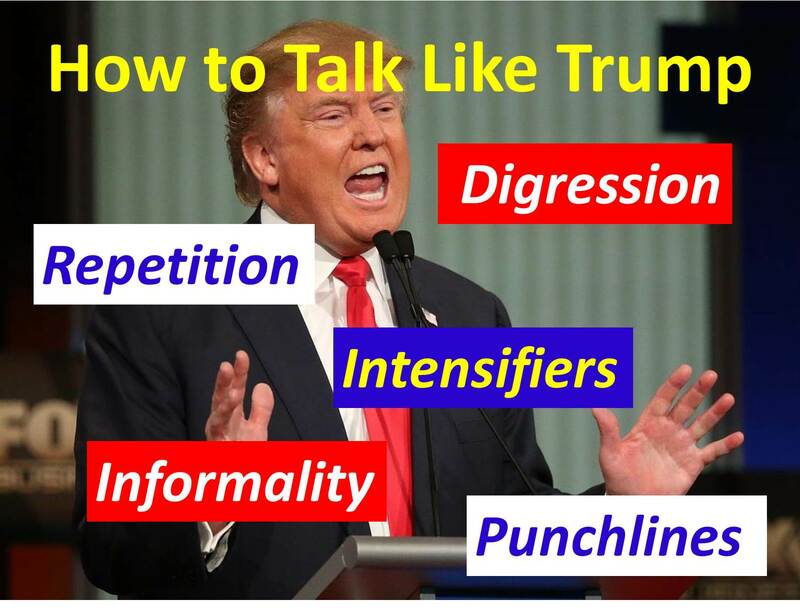 Romano discovered that Trump’s peculiar “patois” is probably deliberate and “has developed into a remarkably effective delivery mechanism for his message.” He cites five “linguistic quirks” that stand out. In the end, Trump is a salesman and his product is himself. He uses these speaking traits to connect with his marks and sell himself, an endeavor in which he has triumphed. This entry was posted in Uncategorized and tagged Andrew Romano, digression, Donald Trump, election 2016, informality, intensifiers, propaganda, punchlines, repetition, speaking style, speech, Trumpese, Trumpian, use of language, Yahoo News on September 12, 2016 by BrotherWatch.